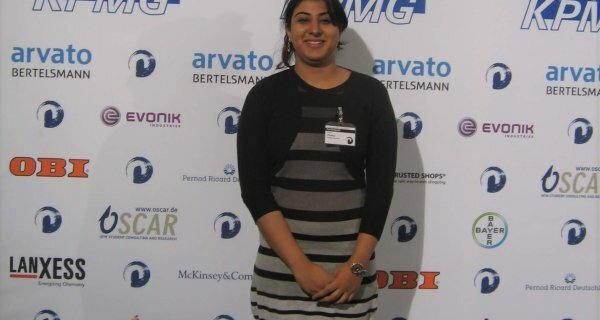 Our first delegate is Yavnika Khanna, originally from New Delhi, India. She has lived and worked in New Delhi, Mumbai, Bangalore & Seattle. 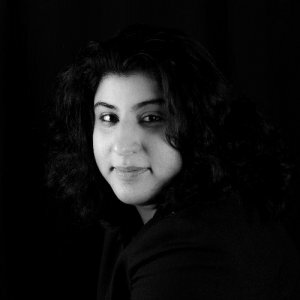 Her educational background includes an MBA with focus on Marketingfrom KJ Somaiya in Mumbai. She completed Bachelor’s in Business Studies from University of Delhi. Furthermore she is certified in Advanced Project Management from Stanford University and graduate of the International Leadership Academy, in Germany. What is your favorite anecdote, that happened during the WBD? 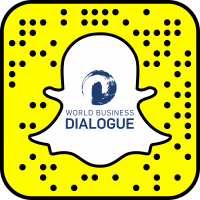 I first came across the World Business Dialogue in 2007 through my network. That time, WBD was organized once in two years. This meant that I had to wait till 2010 to apply as a student. After years of wait and preparation, I submitted my application. Finally, in 2011, in my final year of MBA, I was selected from a pool of 2700+ applicants from 80+countries. The WBD was worth the wait. After I returned from the stimulating experience, I realized that more and more students and leaders need to know about the WBD. So in 2012, I came back to WBD as an ambassador to cherish the conference and to promote it among the new batch of young leaders. The unique aspect of the WBD is that format promotes genuine networks of motivated individuals. Forming bonds is encouraged and catalyzed before, during and after the conference. At the end of the conference, together with a group of student leaders at WBD, we set out to capture some of our unique experiences in Cologne. I clearly remember, that we video-graphed a motivational video for future participants-we braved the cold winds at the Hohenzollern Bridge trying to take quirky shots of us throwing coins in the river Rhine! Are you still in contact with others from that time – what’s your connection to them? Yes! The friends I made and network that we formed was the most cherished aspect of the WBD experience. The bonds I shared with the participants and organisation team (Kristina, Natalia, Ebru, Aylin, etc.) lasts even today. 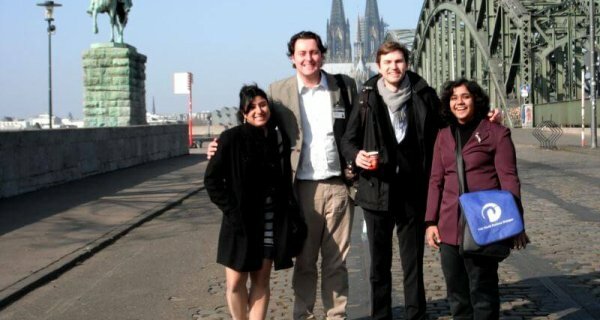 Not only the selection process ensures the best and the most motivated students make it to Cologne but the conference experience promotes genuine connections. We help each other in our ventures, career and life events. We remain connected through social media. There were several planned and spontaneous reunions that I attended in New Delhi, Mumbai, Bangalore and even in Cologne & Brugge! Did the conference impact your career path? Yes, theme of the 14th WBD in 2011 was managing complexity. Each and every day I manage the complexity of a fast changing world and my expectation on how to navigate it. WBD provided me the inspiration to become a holistic and global leader. Besides pursuing a full-time career in the corporate consulting industry for the past 10 years, I have served as a board member and mentor for global non-profits and their initiatives in India, the United States and Europe. The connections I built and the inspiration lasts me a lifetime and I look forward to coming back to the Dialogue as a facilitator/ speaker. Could you generate value through your participation? Absolutely, During the conference, we heard elite speakers like the then President of European Council, Herman Von Rompuy, who briefly explained the decision-making mechanisms in a complex, supranational organization: the European Union (EU). This was phenomenal exposure and an unparalleled opportunity to learn about managing complexity in a rapidly globalizing world. In one of the pre-event opportunities, visiting the DHL Innovation Centre in Bonn was also very interesting and eye-opening for me. I serve as an Advisory Mentor to Queen’s Young Leader Program, established by the Queen Elizabeth Diamond Jubilee Trust & University of Cambridge. 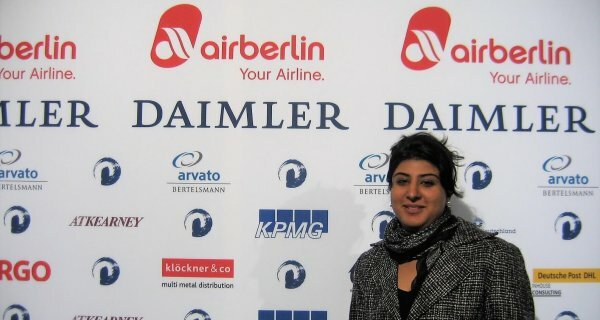 I am also a mentor for Drucker Challenge (a global essay competition) organized by the Drucker Society Europe. Till May 2018, I served as a Manager (Cloud/Edge infrastructure) at Capgemini Consulting North America, I was responsible for leading teams and managing resources to deliver cloud and edge-based infrastructure solutions. I am currently based in Seattle, USA. How do you feel when thinking back about your time in Cologne? It was indeed one of the best student-run conference experiences. It’s so interactive and well-orchestrated! The discussions are big-picture and solutions-oriented. The WBD team works cohesively to provide a great experience to all delegates. WBD re-instates and reminds me that the future is in safe hands. Also she is the the co-founder and elected National Coordinator of Liberal Youth Forum-India and has served on the International board of Students for Liberty. Yavnika has been a presenter and has delivered workshops at international forums about youth and leadership in difficult regions of the world. At present, she serves as a mentor of the Drucker Challenge and an Advisory mentor for Queen’s Young Leaders, a leadership program supported by the Royal Commonwealth Society and University of Cambridge.